A great mix of science and discovery goes into making this meter, which your budding ecologist can use to track rainfall. Then she can recycle the water for your plants. 1. Place a piece of masking tape on a flat, nonstick surface, such as a kitchen counter. Lay the fork handle across the bottom of the tape. 2. Use the permanent marker to make a line on the tape above the handle. Move the fork up so it sits on the line. Draw another line above the handle. Repeat until you’ve made five lines. 3. Number the lines with the marker. 4. Place the tape on the outside of the cup. Put the cup outdoors in a spot where rain can fall in. For older kids: Turn this into a lesson about charts and graphs. 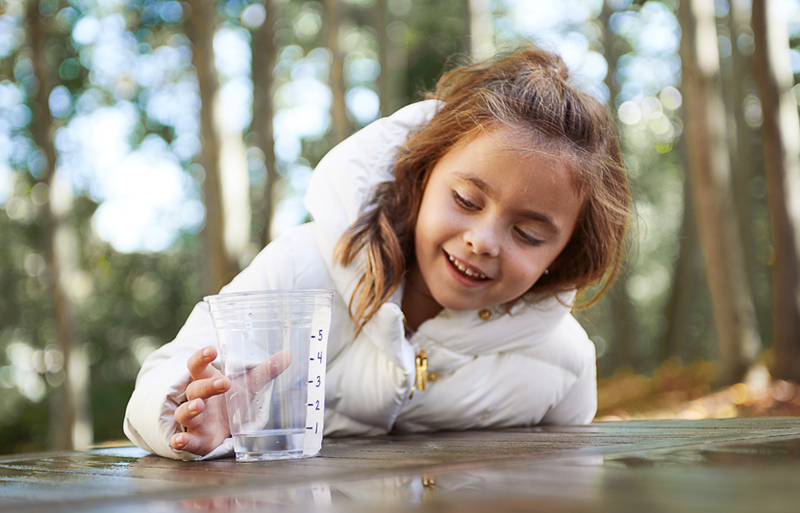 Each week, have your child record the amount of rain collected, then make a chart or graph with the information. Which week had the most rain? Which week had the least? Keep the chart for a few months. Then ask your child to total the amounts for each month and tell you which month had the most and which had least amount of rain.